Dentures are removable mouth appliances used for teeth replacement. Patients suffering from complete tooth loss benefit from completes. And, those with a few missing teeth can replace them with partials. Patients should consider teeth replacement not for cosmetic reasons but rather to improve their oral health. Missing teeth allow for tooth decay, gum disease, and teeth shifting. The existing teeth are more exposed and the teeth shifting causes difficult to clean areas. Another reason to replace missing teeth is that a patient is able to chew effectively and speak clearer. Removable mouth appliances may be an option to replace your missing teeth. Consult with us today. Dentures Haverhill MA | We create a mold of your mouth after teeth removal and the gums have healed. This ensures the best custom fit for your dentures. However, it can take more than a month to receive them after teeth removal. These offer the most convenience for patients. On the day of teeth removal, the dentures are inserted. Later, the patient will need to return to have them readjusted. Overdentures allow them to be attached to existing teeth or dental implants for more stability. How should I care for my new teeth replacements? 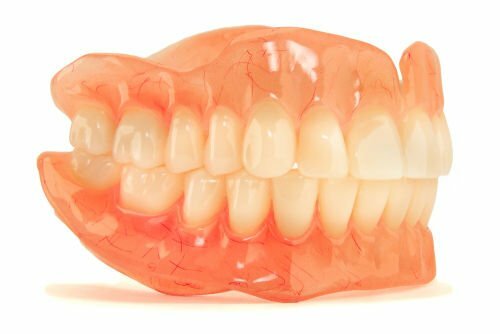 Dentures need to be held gently as they can get damaged. Brush and floss your dentures regularly to remove food particles and bacteria. When not using them, store them in clean water. Be sure to wash your mouth twice a day. Brush your tongue, palette, gums, and cheeks to avoid bacteria buildup, bad breath, and mouth sores. Let us know if they ever become loose or damaged. We will need to correct them to prevent injury. Contact us if you need teeth replacement. Dentures Haverhill MA are a great option and we have other solutions that may suit your needs. Call (978) 373-1231 or book an appointment online now.